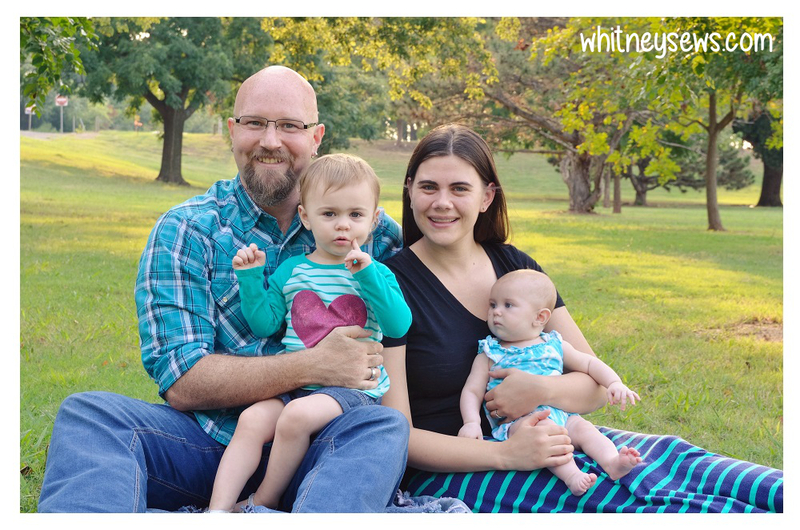 Hi everyone, I’m Whitney , the creator and host of Whitney Sews. I live in Oklahoma with my husband, Jeremiah, and our two daughters, Peyton and Skyler. My youTube sewing how to show, Whitney Sews, was created as a final project for Video Production II in college. Nine years later I’m still sharing new tutorials every Wednesday here on my website and on youTube. My goal is always to create DIY projects that anyone can make, no matter their skill level. On my channel, and here on my website, you will find tons of free sewing tutorials along with nonsewing craft projects, hauls, cosplays, and more. I currently have a Sampler Sew Along series going on my youTube channel. Feel free to join the block of the month style quilt along at any time and catch up on all the blocks shared so far in the playlist HERE! WHITNEY, thank you for the free pantiliner pattern. My family knows me for my unique and often handmade gifts. If the download is printed standard does that mean the pattern is actual size? I didn’t see any ruled measurements to compare against. Than you. Maybe you have and I couldn’t find it, but have you done any tutorials on the printed fusible grid interfacing for making perfect squares? I’ve begun sewing with the 2.5″ grid (comes in 1″, 2″ and 2.5″)..
It’s amazing how fast the squares work up and you don’t have to be perfect in placing them inside the printed grids. I’ve made table runners and decorated towels just using my scraps. It’s so much fun. If you haven’t done a tutorial on it, maybe it’s a cool one to teach. Hi Whitney. Today I purchased the PDF Download of your Log Cabin Design Templates for $2.50. I haven’t received the download yet. The payment has gone thru my bank. So glad to see your new site and all the wonderful additions to your family! Years ago I found your newsboy hat tutorial with pattern and wanted to make about a dozen, but let fear kill that dream. Now I’ve printed out the pattern, found your You Tube video and am giving it a go! I’m getting a bionic ear, (also known as a cochlear implant) soon and want to hide my extensive scars during the healing process. I’m deaf and really appreciate the closed captioning on your videos. I also am a lip reader and noticed that you enunciate beautifully and I have no problem just reading your lips, when your face is visible. Keep up the wonderful work of inspiring others, like myself. Many thanks! Thanks for the good wishes Whitney. I finished my first hat from your pattern, and posted on Instagram. (I gave you credit with the You Tube video that I used-over and over again!) I’m sooooo excited that it turned out perfectly. I made it out of reclaimed place mats from Kohl’s and did a little tweaking. I made 4 liners to test out size, and settled on #3. It’s a floral pattern with a white background and huge light green leaves and turquoise flowers. Naturally I made it to match my wardrobe. I’d love to send pics, but don’t know how or where to do that. For those that know me, this is only the beginning of a long and productive hat making period. Many thanks again! 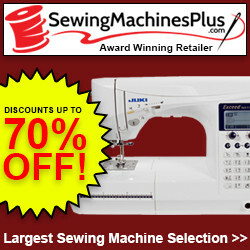 Loved your youtube clip showing how to use the Dexter hand sewing machine. My wife found one in her Mom’s sewing kit after her mom passed. Would it be possible for you to email a copy of the instructions? Her machine doesn’t have one. Thanks. Just started watching your tutorials (I was hunting for an apron tutorial when I came across your channel on Youtube) and I would just like to say that I have really enjoyed your projects so far. My name is Emily and I am from Victoria, Australia and I am 21, it is really nice to see a person close to my age that is so accomplished in sewing. I have only just started and hope to one day be as talented as you. In my suburb it is very hard to find anyone under the age of 35 that sews! So I very much enjoy seeing your videos. Discovered your YouTube site. Subscribed. Great patterns and tutorials. Just found you YouTube videos, Love them, very informative. I’m really a terrible sewer, but your helpful videos have given me better skills. I want to thank you for that. My first love is knitting, and now I can sew my own carry all bag for all that yarn I seem to need. Congratulations on your baby news!! Best dressed baby around I’m sure. Hi Whitney! Love your tutorials! You are a clever and talented lovely young lady. Thank you for all you give. Can we send you something we have made? To show appreciation? Yours truly, Connie. Whitney! I stumbled upon your site and I am so excited to try some of your patterns. I also just noticed that you’re from OK….me too! I do not live there any more but if you don’t mind me asking what town are you from? I am from Ada. Love the T-shirt underwear. How long does it take to make the underwear including making the pattern first? Many thanks for the free bunting pattern this will save me a lot of time on my next project for my grandaughters room. What a pleasant surprise when I came across your site and saw that you had read one of my books. I hope you enjoy the kids book and try some of the other books. The charities thank you for the support. Hi Rod! I absolutely love your books! I don’t know if you realized, but I was the narrator for the Lake Alamo series audio books 🙂 That’s how I came across them in the first place. Can’t wait to read more from you. Have a great day! Hi, Whitney! I’ve been watching you since I discovered Threadbanger (and your channel subsequently) earlier this year. Can I just say that I am fangirling out over the fact that you’re from Oklahoma?! I’m from right outside Tulsa, although I live on an army base in Texas now for my husband’s job. I love your videos! Hey, i just wanted to say that i have been watching your youtube channel for almost a year now and it is because of you that i got my first sewing machine and learned how to sew and will be upgrading machines (hopefully) when tax season comes. i am 24 with two kids and a husband on disability so its really hard for me to spend any money or time into a hobby for myself but because you are willing to teach me for free on youtube i was able to make sewing a great hobby for me and my kids. so i just wanted to say thank you for all your hard work and please dont let the people that write nasty comments discourage you from continuing your great show. Also, i was wondering if there are any videos or pics from your wedding? i would love to see them and im sure many others would too. thank you so much and if there is anything i can do to help you in any way please let me know. Hi! Just wanted to say your site looks great 🙂 I have been watching you for a long time now though I never comment. You channel is so fun to watch just set it to run for hours on my wii to get inspired! i love love love your show, all the way from guyana. I am thrilled to see how far your journey as taken you!!! I love, love, love your youtube videos and now this! Keep on going in the direction you’re taking, you will go far! !